Your energy is a vibration that is set long before, you embody this incarnation. It has a signature that Source, Creator, God or the Angels recognize when they see, feel, and hear it. Everyone on your earth plane has one, some are a denser vibration than others are, and some are not in a tranquil place with the vibrations. Part of your incarnation on the earth plane is to know that vibration and to work on raising the vibration to the highest you can. First, you must connect to your inner world, to your physical body, and to your spiritual body in order to know it for yourself. How can you change something that you do not know? We ask that now and ask that you take the time to know your vibration yourself. Someone cannot tell you what it is or how to change it if you do not know it yourself. Your world constantly talks about the ascension process and it is the buzzword among the gurus of your time. The ascension process is simply the changing of your vibration, changing it to a higher frequency as you move along your spiritual path. At the same time you are changing so is the earth plane. You are spiritual beings living in a physical body, moving through what is your personal spiritual blueprint. 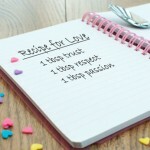 It creates experiences for you, helping you fulfill a contract in which your soul asked to experience certain lessons. You are completing this contract now and will work until you release this physical body. You can make changes to your vibration, shift, and release those experiences you have learned so that your journey becomes a flow of Divine energy. As you release the experiences you have completed, you move forward in a way with Divine grace and ease. We tell you this so that you understand what energy healing work does for you. It is not “Woo Woo”, but a way to shift your deepest energies and to change your frequency so that your life becomes a way forward with each sacred step; you move the frequency to one that is in step with your Divine path. As we channel this to Rev. 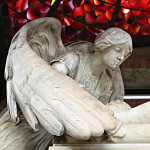 Mary, she is listening to music which contains a certain beat of the drum which is opening her heart, bringing tears to her eyes and helping her embrace the words we send to her energies to pass on to you. All steps you take are the right ones for you. Can you embrace this? You are never taking wrong steps except when you are consciously going against what you know is the right thing. You can always pick those ways, you have free will but it will create experiences that might not be what you want. Different energy work helps you open to the possibilities of your soul. Please understand that in every Divine Blueprint, you are a perfect creation of the Divine Source Energy. It helps to take some of the energies that you may be holding onto and release them if the lesson is complete. You do not need to repeat a lesson more than one time in order to learn what you need. You do not need to feel the trauma of a lesson again in order to release it. You do not need to know exactly what happened, when it happened, and why it happened in order to move that energy from you. Being in this moment, rejoice for what is. Let it go easily like the dropping of a pencil. It can be that easy. Reiki is an energy that we see works on the chakras, helping to balance them, and helping them to work together without blocks to move the energies through your bodies-physical, mental, emotional and spiritual. By having the chakras in balance, you have an inner team that works for you and helps you process the life events that come your way in a Divine flow. 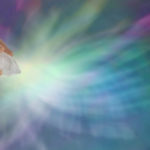 Integrated Energy Therapy is a powerful healing system that nine of our Angel friends govern and help your physical body release cellular memories of traumas that have been stored in them. It also helps to move energies out of the energy fields outside of the body. It does this with a release that is sometime subtle, sometimes a little more intense but it works for you when you step in and ask for this release by setting intentions at the beginning of a session. 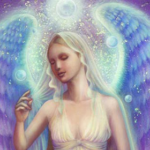 Seraphim Blueprint is another powerful healing system governed by a beautiful Seraph. However, it is more than that; it is a way for you to heal your consciousness. It helps you evolve and change your frequencies. It is a healing system for your physical body but also works on your consciousness. It helps you to understand your spiritual questions and to work through the questions for your higher good. It helps to release some of the parental, society, and religious conditioning most of have experienced. Sound is also a perfect way to help raise your vibration. 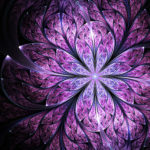 Finding the music, the chants, the sound instruments, or the meditations, will also be a way to change that frequency. The key is to get lost in the music, allow it to bath you at the deepest of levels. Find what puts the smile in your heart. Investigate and discern what is good for you. There are many paths back home; you need to find the one that is the correct way for you. We want you to explore, to know through your inner connection to the Divine within you and to work on the changes you feel call to you. The calling is not your imagination, we are here in record numbers now as so many of you have awakened and are seeking answers. Sit with us and we will guide you to your next steps. We see your light and vibration and feel blessed to have you reach out to your guidance so that you move forward. Your light lights up the world. Even when it seems dark and trouble is brewing, fear not, we are here to help bathe you in light. It is what is supposed to happen. We send you blessings of love to carry you through your journey. 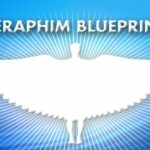 ← What is Seraphim Blueprint?